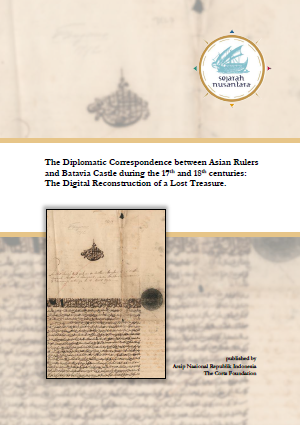 A team of ANRI archivist including Haris Budiawan and Yovi in cooperation with two young researchers from Leiden University, Maarten Manse and Simon Kemper, completed a detailed entry of 4,423 records which gives access to all diplomatic letters in the Daily Journals of Batavia Castle. 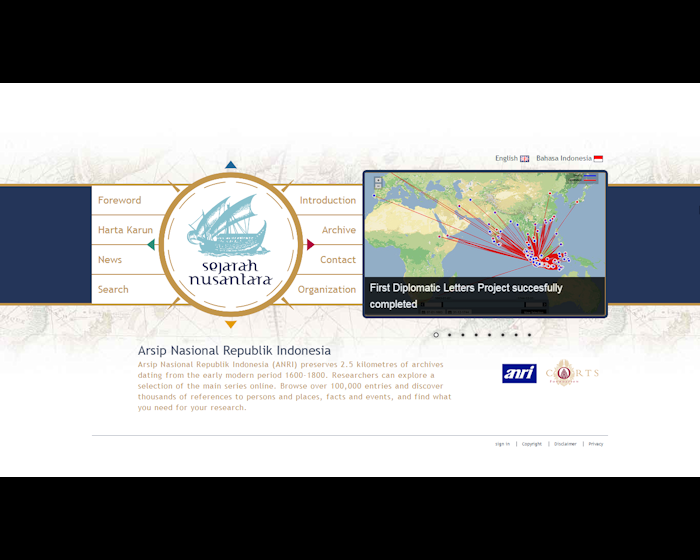 For the first time, a digital list of Indonesian rulers has been created, including the names as they appear in the sources, and their modern names. In the Netherlands, IT specialist Marco Roling cooperated with several software specialist to select software for geographical mapping and social visualization. 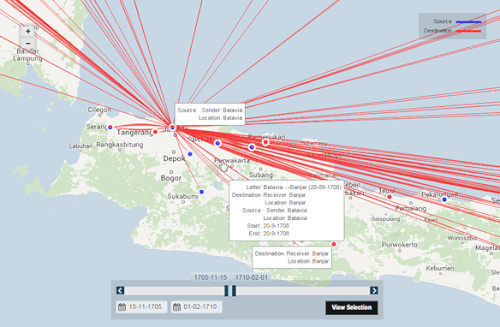 This is the first time that data on Indonesian history is presented with the help of innovative software applications. The completion of this first Diplomatic Letters Project was made possible with the generous academic support of Professor Jos J.L. Gommans from Leiden University and grants from Dutch Culture and the Royal Dutch Embassy in Jakarta.